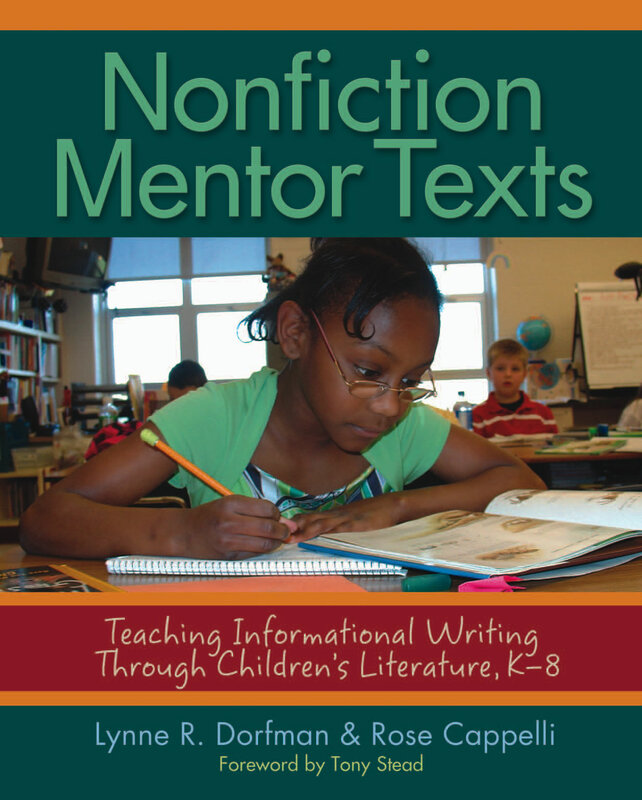 In their first book, Mentor Texts (now in its second edition), Lynne Dorfman and Rose Cappelli demonstrated how teachers can use children's literature to guide and inspire student writers of narrative fiction and poetry. Now they have turned their focus to nonfiction, identifying a wide range of mentor texts and showing how these models illustrate the key features of good writing. Lynne and Rose guide teachers through a variety of projects, samples, and classroom anecdotes that demonstrate how teachers can help students become more effective writers of good nonfiction. The "Your Turn" lessons at the end of each chapter use the gradual release of responsibility model to guide and empower student writers. Teachers will find especially helpful the information on how to select appropriate mentor texts from among the sometimes overwhelming offerings of children's literature. Each "Your Turn" lesson encourages reflection and motivates students to think about what they've learned, the purpose of learning and practicing a skill or strategy, and how they might use this technique in the future. Additionally, "An Author's Voice" provides encouragement and advice from published authors of children's nonfiction.